Modern atomic theory grew largely out of an attempt to reconcile older “common-sense” concepts—such as the idea of electrons orbiting a nucleus like little moons around a planet—with the data emerging from new high-precision experiments on the emission and absorption of light by various substances. To what extent does Bohr’s new atomic theory provide an adequate theoretical explanation of spectroscopic data? And more generally, what counts as an appropriate theoretical explanation? Must a theory explain why a particular phenomenon occurs? Must it be able to predict new phenomena? Must it provide an organizing principle which connects seemingly disparate phenomena? 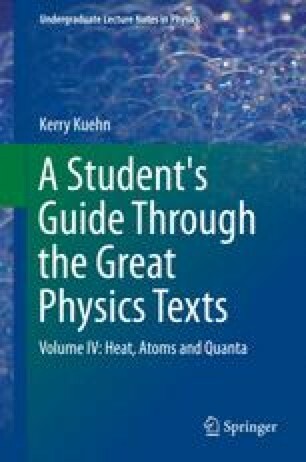 In the following reading selection, which brings us to the end of Bohr’s 1922 Nobel lecture, Bohr attempts to explain how his new atomic model provides an appropriate theoretical explanation of the observed properties of the known elements. Do you find his arguments convincing? Or is there perhaps a better theoretical explanation for the periodic table of the elements? We are therefore obliged to be modest in our demands and content ourselves with concepts which are formal in the sense that they do not provide a visual picture of the sort one is accustomed to require of the explanations with which natural philosophy deals.